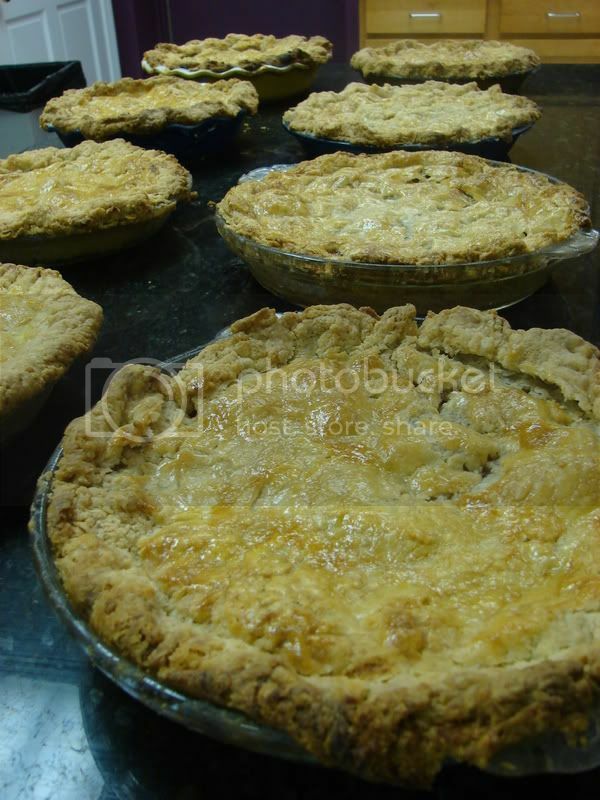 Today is National Pie Day. Not to be confused with Pi Day, which is March 14th (3/14...git it?). Though both Pie and Pi are things that tend to make my brain hurt a smidge. 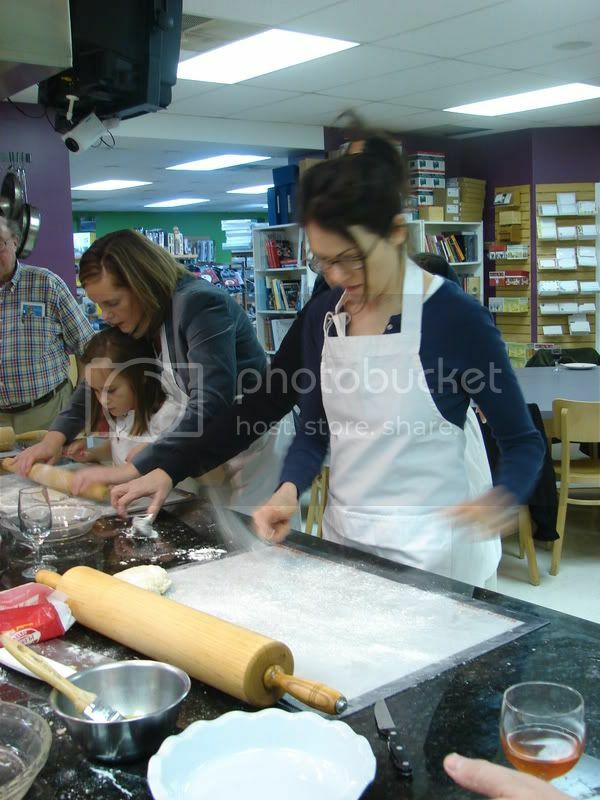 Baking?!?! Math?!?! Yikes! Sunday I got over one of those brain challenges, at least. Alanna from A Veggie Venture arranged a gathering of St. Louis area food bloggers at the Kitchen Conservatory in Clayton. Anne, who writes the blog for Kitchen Conservatory, was sweet enough to teach us all how to make an awesome apple pie from scratch. Also, Christi from Response Builders was there to offer advice on search engine optimization. Thanks so much Ladies!! Roll Call! The STL bloggers in attendance were; Stefani from Cupcake Project (who was very disappointed to find out that the "f" in iron stef is a farce...I actually spell my name with a "ph" but chose "f" because it was more like "chef" visually....), Karen from Family Style Food, Bruno from Bruno's Dream (who also has blogged this event here), Natalia from ZiNur, Joe and Ann from St. Louis Eats and Drinks, and, of course, Alanna from Veggie Venture. -When you cut the butter in the final result should be about dime-size lumps. This seems big, but don't worry...It's RIGHT! -When you add the ICE water, using a gravy separator is perfect for pouring the water in without the ice chunks. 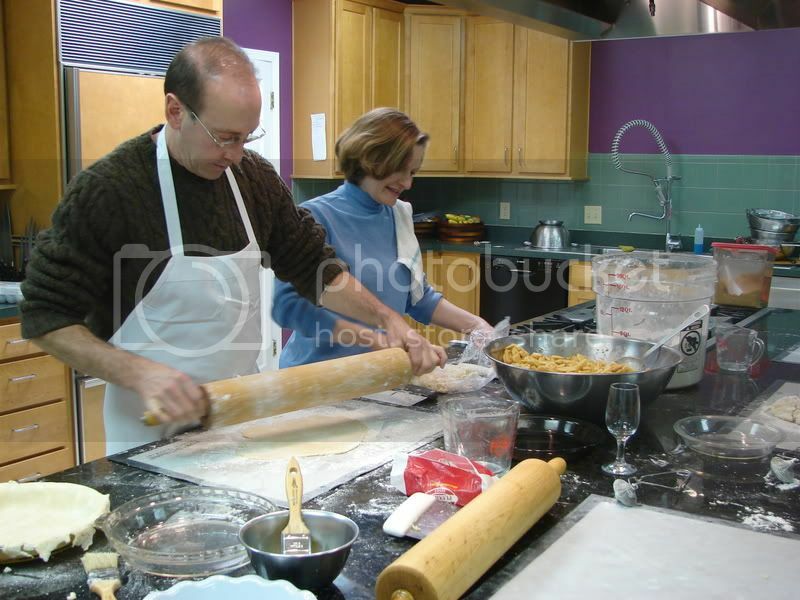 -The water should barely make the "dough" stick together. 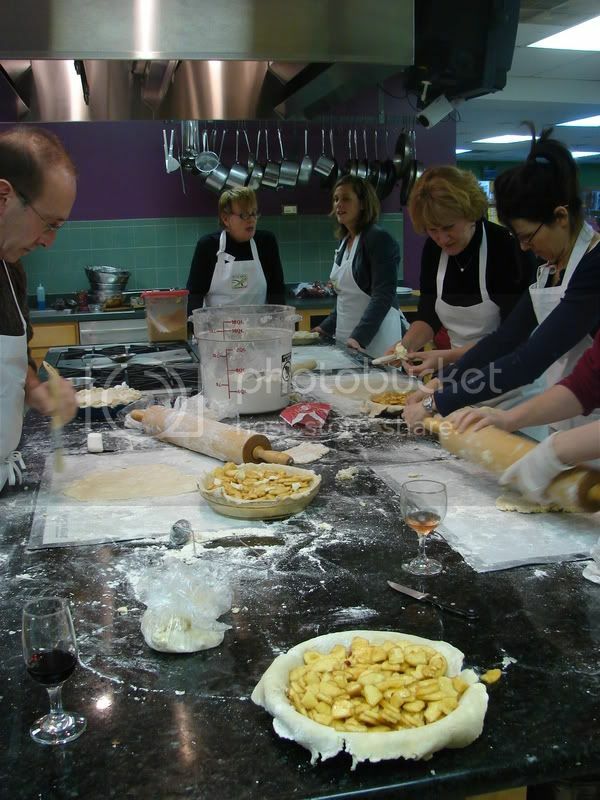 You shouldn't knead the dough, nor should you handle it much at all. The idea is to press the water and the other ingredients together gently. There will be crumbs left at the bottom of the bowl...that's okay. 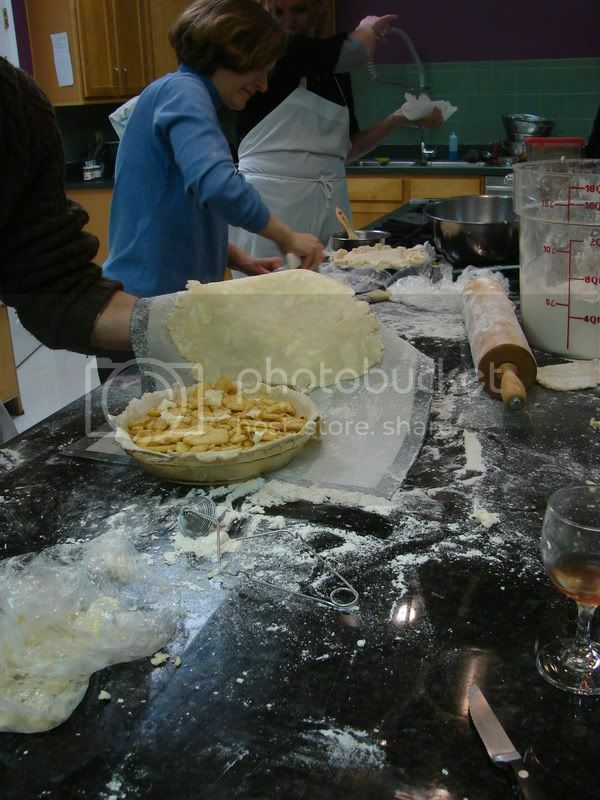 -To figure out how many apples you'll need for your pie...see how many whole apples fit in the pie dish you are using. Voila! 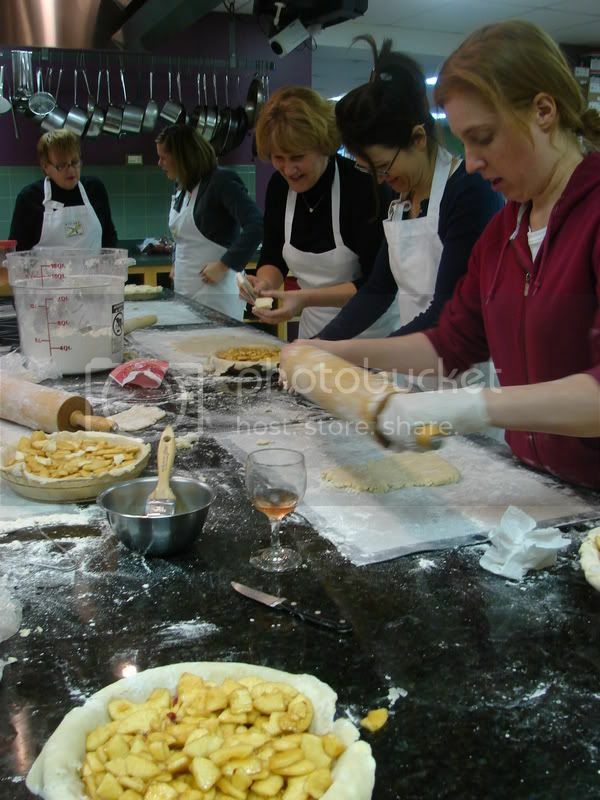 -Don't be shy with dusting the flour on your work surface and the crust you are rolling out. You can brush it off with a pastry brush. -Butter!!! butter in the crust, of course, but also, dabs of butter on top of the apple filling. Yup. 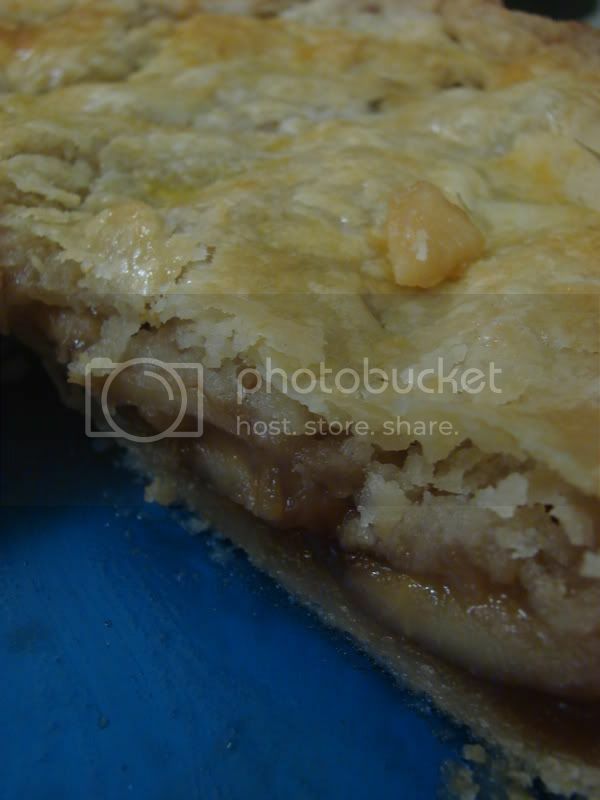 You can see the recipe and process for this wonderful pie-crust here on Alanna's other blog, Kitchen Parade. Also, Here is the whole apple pie recipe. Stef, Karen, Alanna, Christi and Ann. Making a mess! It's a plethora of pie pros! It was great to meet all these other bloggers, finally. STL food bloogers rule! It was also great to learn such a wonderful skill, and to talk about the internets and the blogosphere with similar-minded people. I learned a lot, and got some new friends in the process. lo bob! you have pie? You are our apple-pie queen! What a fun evening and fun post. Thanks for recording all of Anne's tips, too. Great synopsis of the evening! You obviously took better notes than me :-) It was nice to meet you and the other local bloggers. I am so sad that I couldn't make it to the pie party. My pipes froze Saturday night, so I sat around all day on Sunday sans shower. Ick! I hope to meet all you other St. Louis bloggers at the next event!! Great post! Love all the pics. It was nice meeting you! I was sooo bummed that I missed the meeting. And, I could have gone to town on those pies. they looked unbelievably scrumptious! !